Mistakes Were Made. Oh Really? 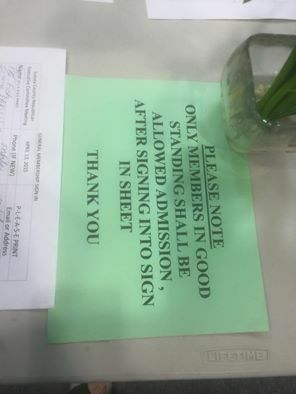 Okay, so let me get this out of the way, I again went to the monthly meeting of the Sussex County GOP, and I again declined to sign the sign-in sheet. This was the video on my entering and politely declining. 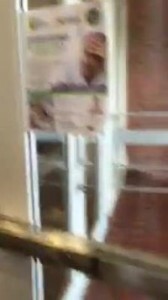 And though this was on the table, as you can see, or I guess I should say hear, the person working the table, did call over Ms. Purdy, but nothing more was said, and no police were called, or at least non showed up. Maybe you can fix stupid. Not really sure what “in good standing” actually means, but I am a registered Republican so I guess that is enough. So now onto the rest of the meeting, and I must say it was again an interesting one. I had encouraged rank and file voters to come out tonight and voice their views on the behavior of the Executive Committee in general, and that of Chairman Vince Calabro, and Vice-Chair Fred Silva, along with member Bruce Fitzgerald and others within the committee. This is what the room looked like. It may be hard to tell, but the chairs set up at the “BACK” of the room for the “PUBLIC” were full, while there were some glaring gaps in the committee rows. During the Treasurer’s report Ms. Vicki Carmean gave the sad numbers once again, starting balance $7841.86, ending balance $6725.87. So even with $240.00 from the Founders Club, they still put out more than they took in. This does not include $180.00 received for selling used furniture from the headquarters, because this goes into the newly created “Office Improvement Fund”. WOW! These folks sure know how to create a lot of slush funds. During the Treasurer’s report Ms. Carmean was asked a direct question about the so called “Unity Dinner”, the money raised, and the complete SNAFU of the fake Western Sussex Republican Club. Before Fred Silva could take the microphone from her, Ms. Carmean stated that she had advised the Advisory Board, and those involved, that there were ways and regulations about how to go about forming a PAC and raising funds, and she was ignored. Fred Silva then took control of the microphone and called for a motion to accept the Treasurer’s report as is, the motion was made, and carried, even though some within the committee felt that the Unity Dinner issue should be addressed within the report. Mr. Silva stated that Don Petitmermet, who is the RD Chair of the 39th, and who is also just the latest scapegoat and has taken on the job of fronting the PAC for the Unity Dinner, now being called The Sussex Republican Club, would be addressing the issue later, after the Secretary’s report. Once the reports were concluded, Mr. Petitmermet was asked to give an update concerning the Unity Dinner fund raiser. Mr. Petitmermet began by stating that he was not originally involved in the organizing of the event, but that he had been asked to “straighten out” the mess. He stated that “mistakes had been made”. This became the mantra of the night, “mistakes had been made”. Mr. Petitmermet tried to explain, by blaming others, that though the event had been promoted under the name “Western Sussex Republicans Club”, the organizers had never taken the time to actually form the PAC under that name, after all, “mistakes had been made”. He said that before the organizers could file for that name, another group had taken it. They just didn’t have time to file that name. They did have time to announce the event, to sell tickets to the event, to print up a program with the name on it, to promote the event on the GOP website, but they didn’t have time to take the ten minutes it takes to file for the name with the state. After all, “mistakes had been made”. Mr. Petitmermet said that the checks had not been cashed. Well of course not, they had been made out to a group that had nothing to do with the event. This, even though they organizers knew prior to the event that the name had been taken legally. Mr. Petitmermet said that he hoped that when the people received their checks back, that they would either make out new ones to the now “known as” Sussex Republican Club, or to the Sussex GOP. Someone then asked how much money was collected. The first answer was that $1,297.00 had been collected in checks. Then the question was asked about any cash that had been raised. The answer was that a total of $2022.00 had been raised in checks and cash. Questions then were asked about why the county GOP Committee had used a third party PAC to raise funds, and why the GOP website and letter-head had been used to promote the event if the money was not being raised for the GOP? Fred Silva stated that those questions should be directed to Chairman Calabro, oh have I mentioned that Vince Calabro was not at the meeting? Vice-Chair Silva did repeat the mantra of, “mistakes had been made” several times, but no real answers were forth coming about why the Chairman of the Sussex GOP Executive Committee had fronted a third party PAC to raise money instead of just using the GOP Committee. And when it was pointed out to VC Silva that Chairman Calabro was not there to ask, Mr. Silva stated that, “if I didn’t have to be here, I wouldn’t be”. 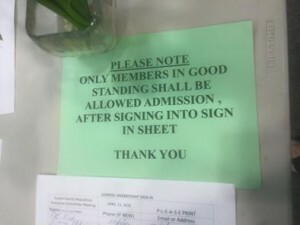 During this question and no answer session there was a moment when a member of the committee stood up to point out that the meeting was being recorded. It seems that the “Duke” of Sherwood Brooks was recording for his job at WGMD. Now this is no big deal, several people were videoing and taking notes. What was telling, was how Mr. Brooks reacted, angrily. It is also strange that he was setting up front with the committee members in his regular seat as a committee member. I wonder if this is what passes for an unbiased news report in his world. Once VC Silva had repeated, “mistakes had been made” several more times, he simply said, “moving on” to loud booing. I should also point out, a young man in the back of the room raised his hand to ask a question and was told that no comments from the public would be allowed. This is how they maintain control, by refusing to include the very public they are supposed to be representing within the party. So that was it, no answers, no questions allowed from the public, no explanation from the invisible Chairman, nothing beyond, “mistakes had been made”. So I guess all Hillary has to say about Benghazi is, “mistakes had been made”, and these people will just forgive and forget, right? This left the guest speakers to fill out the night. First up, why I don’t know, was John Betts, Mr. Betts is the Pastor of the Abundant Life Church, which just happens to be the church of the former Chairman John Rieley. Mr. Betts proceeded to give a sermon about the Founders and how hey were Christian, and something about how in the Delaware Constitution of 1776 elected officials had to swear an oath to Jesus Christ. What is it with so many people that they go back in history and find what they like and then claim it as the end all? I am sure Mr. Betts is aware that Delaware is currently under a constitution that was ratified in 1897. Of course Mr. Betts and many in the room would rather have the 1776 version. This sermon then turned into what I felt was an anti-Semitic and anti-Islamist rant. Not really sure how any of this helps elect republicans, and actually heard some people leaving the room saying, “WOW”. This is how the far right likes to tie up their politics with their religion so you can’t criticize one without criticizing both. Finally John Foltz was given time to speak, Mr. Foltz is running for the vice-chair position within the state GOP. 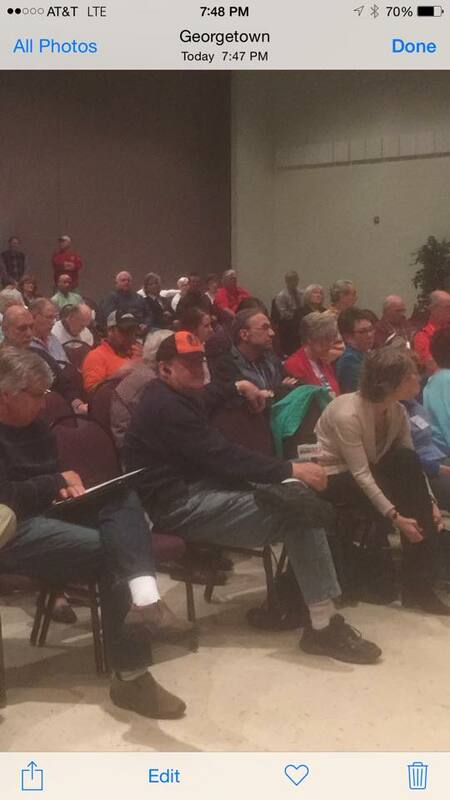 Mr. Foltz has won just about every award for hard work within the Delaware GOP there is, and he was left waiting to speak behind the pastor at the very end of the meeting. A person who has given time and effort to actually elect Republicans treated this way? WOW! Is right. Well pardon the pun, but now for the elephant in the room. prior to the meeting a young man was handing out a two page letter. What was contained within this letter should shock and outrage every republican, both men and women. And why no one brought this up I do not know. The letter was from the Committee Treasurer Vicki L. Carmean. 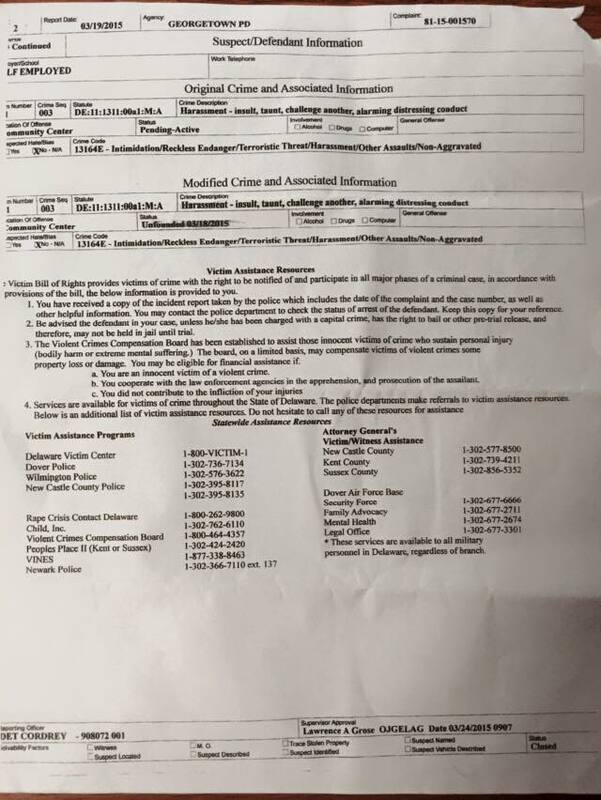 Here are copies of the letter, and also a copy of a police report that Ms. Carmean filed. Well, it would seem as though this group of thugs was really on a roll on the 9th of March, this was the same night they falsely called the police on me for not signing in. This is exactly what I have been saying, if they are arrogant enough to falsify police reports to intimidate me from coming to public meetings, what are they willing to do behind closed doors? Now we know. 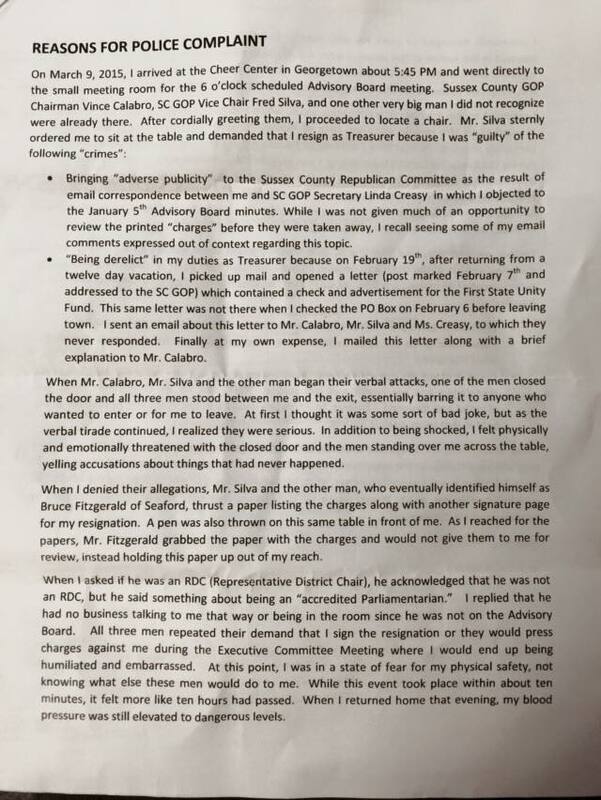 I don’t know Ms. Carmean, I have never even spoken to her, but the fact that she is still Treasurer, that she did not give into these punks and their tactics, tells me that she is a strong person. The fact that she made this public shows that she is a person of integrity and courage. I called on rank and file voters to show up tonight, and some did, but were not allowed to speak, not surprising considering. The so called leaders of this committee are little tin dictators. 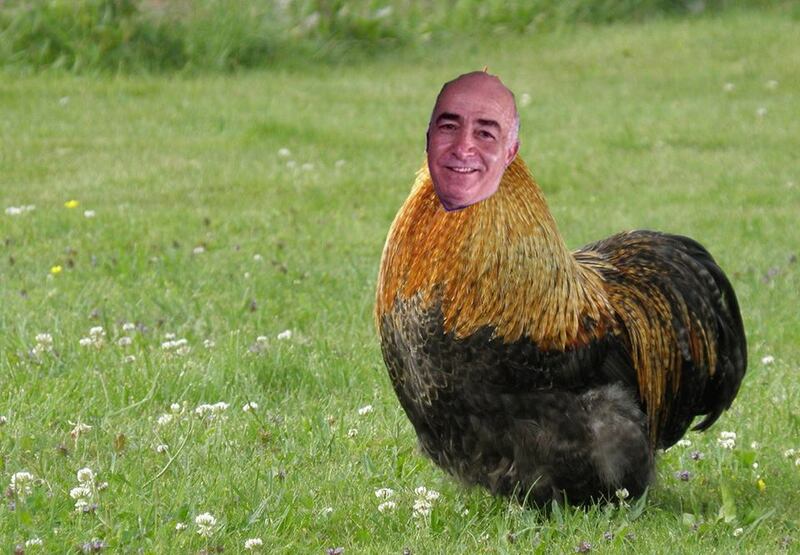 Vince Calabro doesn’t have the courage to answer for his actions, he simply sends out a new scapegoat. Fred Silva and Bruce Fitzgerald are weak kneed bullies. They will act tuff when alone with a woman, but when challenged to answer for their actions, they simply repeat, “mistakes had been made”. Well you damned right mistakes have been made, and are still being made, and being allowed to be made. I called on rank and file voters. Now I ask the question, how long will state party Chairman Charley Copeland and John Fluharty be complicit through their silence and inaction? 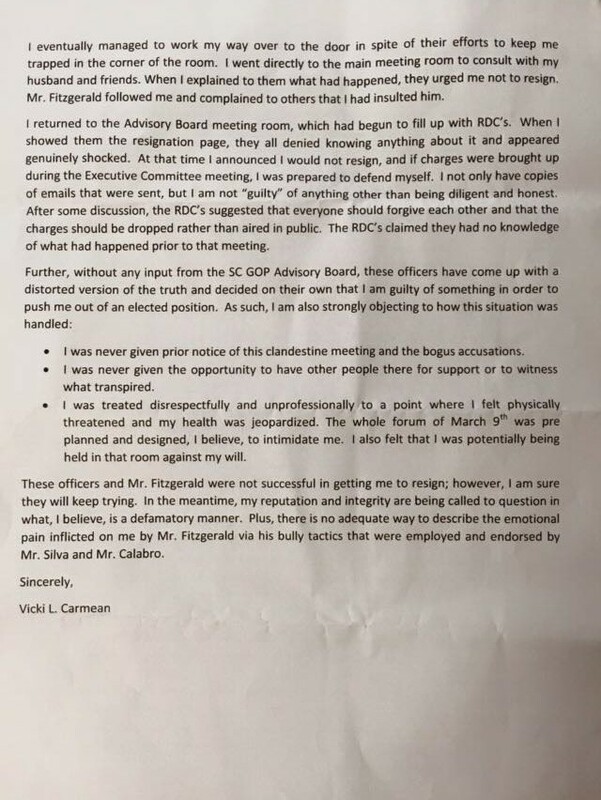 Will the state GOP continue to allow, and or help hide the actions of Vince Calabro and his henchmen? Will the state party wait until a law suit is brought against the entire GOP because of the actions of these few radicalized fringe fascist? These McCarthy like tactics of intimidation must not be allowed to go unnoticed, and must be addressed. 16 Comments on "Mistakes Were Made. Oh Really?" How are we supposed to fight Hillary and the democrats,with republicans like these. Thank God for Vote Smart. In 2016, I’m using my votes to help clean house. Lisa, if you live in Sussex you can use your vote to help clean house of this committee. There needs to be a movement started for a vote of NO CONFIDENCE and removal of the whole damn EC board. At the very least I hope Calabro, Silva, and Fitzgerald are charged with criminal threatening and unlawful detainment. I apologize, I just noticed that the intended video at the top of the page did not load as a video. I will attempt to correct this later. Not a lot there other than myself being asked to sign, and I declining. Wow what has this party turned into. Since taking over this group has illegally handled funds and that was a mistake and now they have tried to force people out like thugs. I know Mr. Calabro is from NY area but we don’t need that kind of stuff in Sussex County. I am suprised nothing has come out sooner. I will be making my point to the state and national GOP on this. Who needs cable when this stuff is going on for entertainment? Everyone in the room, including Don Ayotte, was handed a statement and a POLICE REPORT filed by SCGOP Treasurer Viki Carmean outlining how she was held in a small room at the Cheer Center last month before the monthly SCGOP meeting and was threatened and harassed by Chairman Calabro, Vice Chairman Silva and Bruce Fitzgerald in an attempt to force her resignation and “hard news reporter” Don Ayotte fails to even give it a passing mention in his “article” on that other, dying blog site? 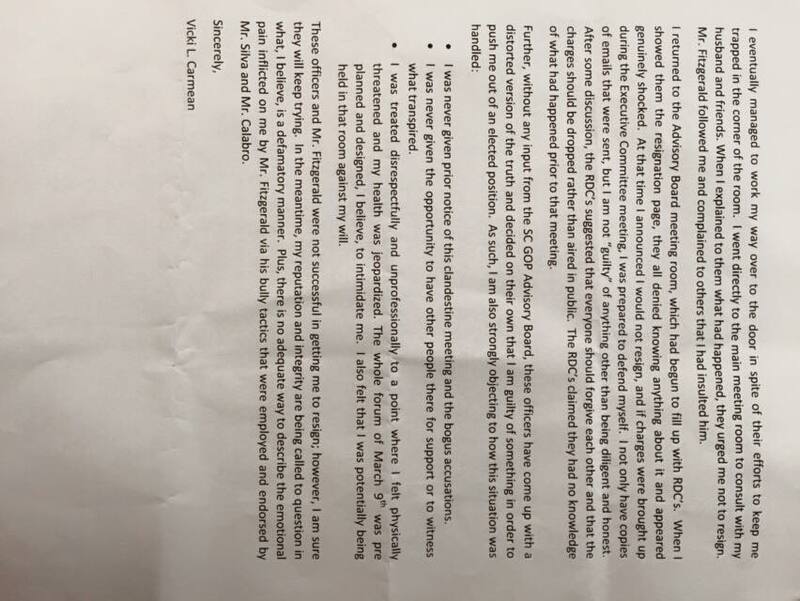 A two page letter outlining how this woman was blocked from exiting the room and screamed at, threatened, and harassed to resign her duly elected position as Treasurer, and that so called blog ignores it like it never happened. 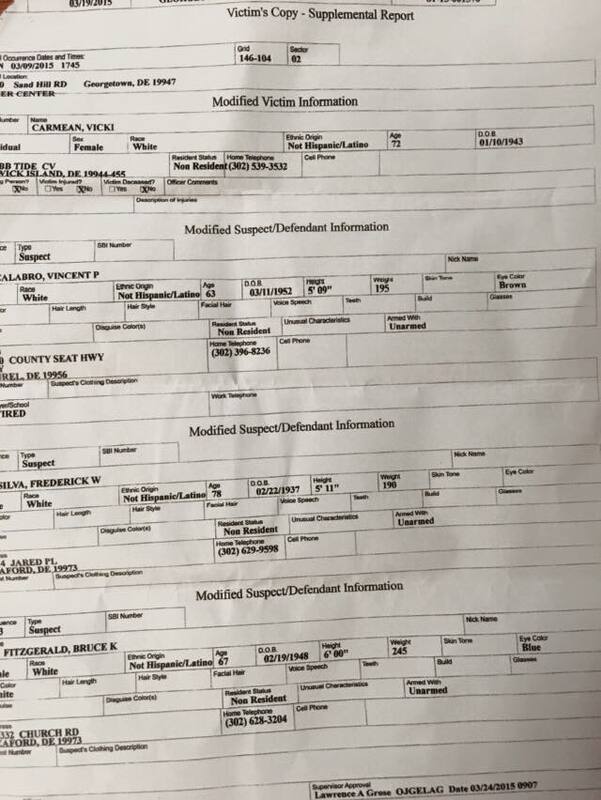 The actual and real POLICE REPORT filed by the SCGOP Treasurer was handed to Don Ayotte and he ignored it. 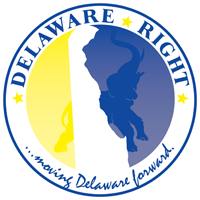 Thank you, Delaware Right, for being the ONLY BLOG in Delaware with the stones to shine a bright light on the SCGOP! Not that it is any of my business, but I thought these meetings were open only to registered Republicans? Why was Don Ayotte allowed in, or did he rejoin the Republican Party? Mitch, personally, if it were up to me I would want the meetings open to everyone, including you. How do we find common ground standing on opposite sides? There once were two men standing on opposite sides of a canyon. The first yells over and asks, how do I get to the other side? The second one yells back, you are on the other side. It is this lack of vision that dooms us to constant failure. As for Don being there, he was wearing a media or press badge. Yeah I know, right? I have been a registered Republican for a few years. I am in my 30s and have not been super involved in politics. I began paying closer attention a few years ago and I have been horrified by what I have seen. These people wasted an election by putting forward Crazy O’Donnell. They excused and defended of a child molester (Bodie). I have watched as they ruthlessly squelch any and all dissent within their ranks. I truly worry what would happen if these people obtained power in the state. If I had to choose between electing them and electing a Democrat I would choose the democrat. What can we do to fix this issue? Find who your RD Chairman is and ask to be an ED Chair, come to meetings and help be the change. Think the Republicans will protect your social Security? How about your medicare? How about the affordibility of your kid’s education? Think they will protect your drinking water? The air you breathe? Think they will stop employers from hiring illegals and outsourcing jobs?